The new Riverview, Michigan campus of Metro City Church, outfitted with A/V components sourced through Guitar Center Professional. The view from the front-of-house position at the new Riverview, Michigan campus of Metro City Church, outfitted with A/V components sourced through Guitar Center Professional. 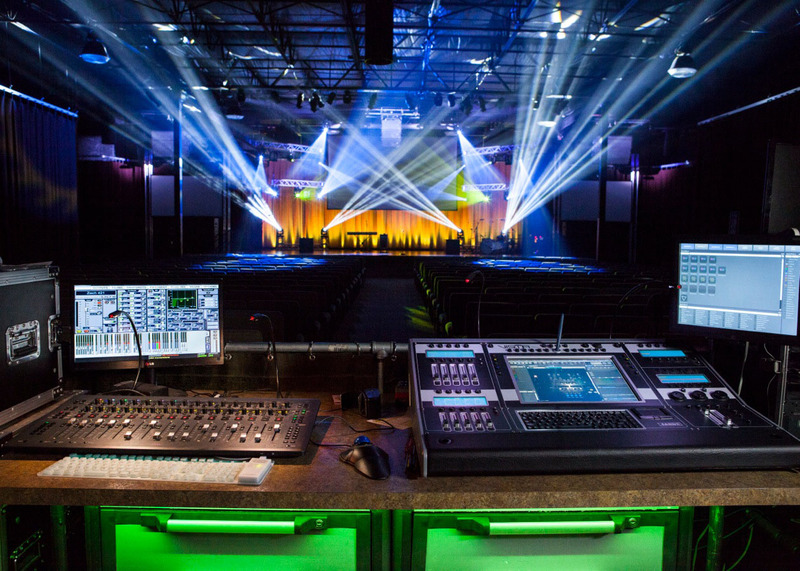 WESTLAKE VILLAGE, CA, August 24, 2015 — Several years ago, Metro City Church, located in the Detroit metropolitan area, outfitted its 900-seat sanctuary with a system of Aero Series 2 products from Spanish manufacturer D.A.S. Audio with assistance from Guitar Center Professional (GC Pro), the outside sales division of Guitar Center that focuses on the needs of professional users. Building on the success of that project, the church recently returned to GC Pro to purchase a second D.A.S. system for a new campus and its touring praise band. 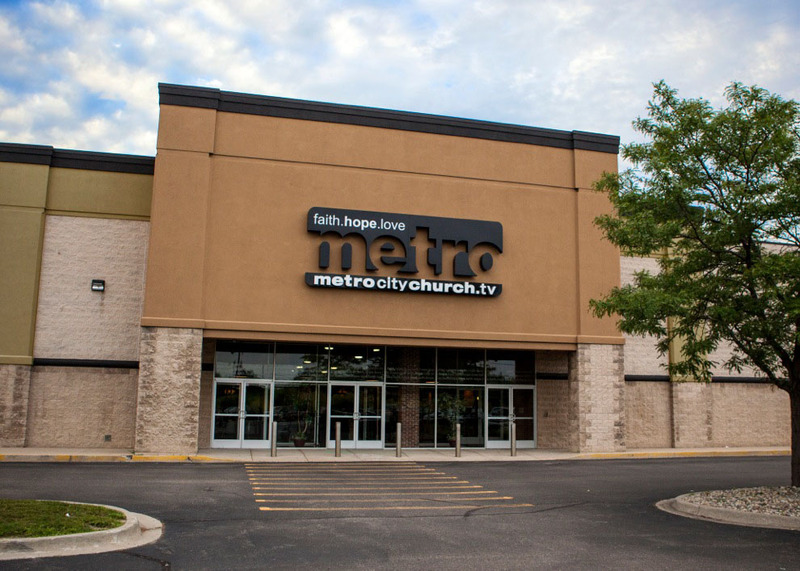 Metro City Church is a very modern organization, employing the latest technology and media, especially music, to engage its congregation, which reportedly numbers about 1,500 people each weekend. According to Paul Johnson, GC Pro Senior Account Manager in Detroit, “Music plays a vital role in their worship services because it’s a great way to be relevant to their congregants. They have a praise band—Alive—that reaches out to hundreds of high school students.” Alive is also the name of the church’s high school division, which meets every Sunday night and addresses the local Downriver community of ninth through twelfth grade students. The sanctuary at the church’s original campus in Taylor, Michigan, features D.A.S. Aero Series 2 powered line array components flown in an LCR configuration—three cabinets in the center with six hung at either side of the stage. Two D.A.S. LX-215A powered band-pass subwoofers and eight LX-218CA dual-18-inch high performance powered subwoofers are stacked to the left and right and are configured in cardioid arrays in order to reduce standing waves on the stage. A similar setup was ordered for the church’s new campus, located in the southern Detroit suburb of Riverview, including a total of 15 D.A.S. Aero 12A line array modules flown in an LCR configuration, and 12 LX-218CA dual-18-inch subs, along with dbx DriveRack VENU360 speaker processing. The systems at both the Taylor and Riverview campuses are similar, says Long, “But one thing that is a bit different is that we originally sold them Aero 12As and they have since modified and upgraded the system to include Aero 38As as well as Aero 12s. So it’s more of a hybrid system now.” The powered three-way Aero 38A module houses two 12-inch and two 10-inch speakers plus a 1.5-inch high frequency compression driver. The latest upgrade also includes four Sennheiser G3 Evolution 900 series handheld mics, a pair of G3 wireless body pack transmitters and rackmount receivers and three DPA d:fine 4088 miniature cardioid headset mics. This purchase also includes band equipment, including Meinl cymbals and an Ampeg SVT head, and a variety of instrument microphones, most notably Shure Beta52A, Beta56A and Beta91A dynamics and an Audix DVICE drum mic mounting system. Photo caption 1: The new Riverview, Michigan campus of Metro City Church, outfitted with A/V components sourced through Guitar Center Professional. Photo caption 2: The view from the front-of-house position at the new Riverview, Michigan campus of Metro City Church, outfitted with A/V components sourced through Guitar Center Professional.